Jeremiah appeared on Show 304, recorded in Wellesley, MA, on March 26, 2015. Jeremiah Klarman (composer) is from Boston, Massachusetts, and is currently studying at The New England Conservatory of Music under the instruction of Michael Gandolfi and Hankus Netsky. He first appeared on From the Top in 2006 when the Rondo of his first violin duet was played. Jeremiah’s Symphony in C was played by the Boston Pops at From the Top’s Tenth Anniversary show in 2010. 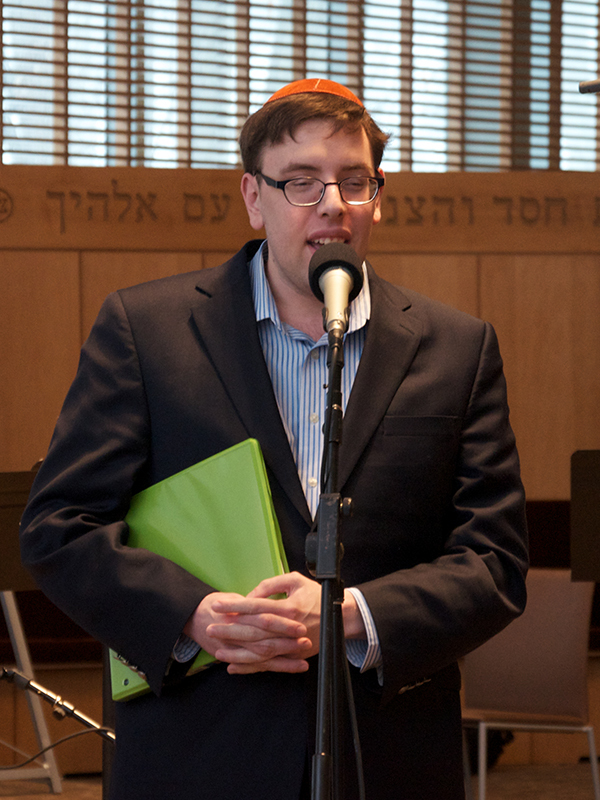 Composing since the age of 6, Jeremiah has written Jewish-themed choral, pop, and liturgical music since 2008, including Rom’mu published by Transcontinental Music Publications. Most recently, NEC’s Festival Youth Orchestra premiered Jeremiah’s commemorative work Boston Strong in 2013. In addition to composing, Jeremiah plays piano and is a member of NEC’s Jewish Music Ensemble and is a regular at Temple Emanuel’s Shabbat Alive! Service.